We would like to say a big thank you to all involved in fitting out our new lorry. The vehicle was supplied by Chassis Cab and the cab converted by Hatchers. Harveys then built the dropside body and the final process was completed with the vehicle graphics carried out by SignLine. 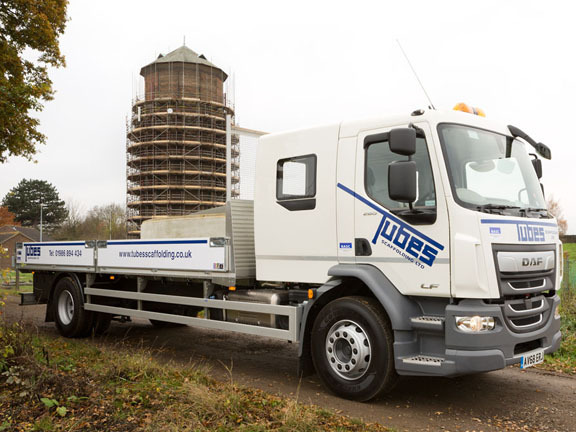 This lorry will transport up to six operatives without the need of taking multiple vehicles, saving fuel, emissions and space on site. The payload is big enough for when we erect or dismantle our more complex jobs requiring four plus operatives. 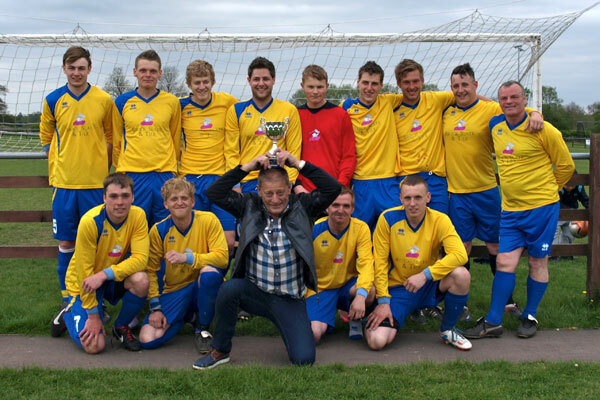 Waveney Football Club is an FA National Award Winning Charter Standard Community Club offering boys and girls between 3-16 years old and adults the opportunity of playing football. 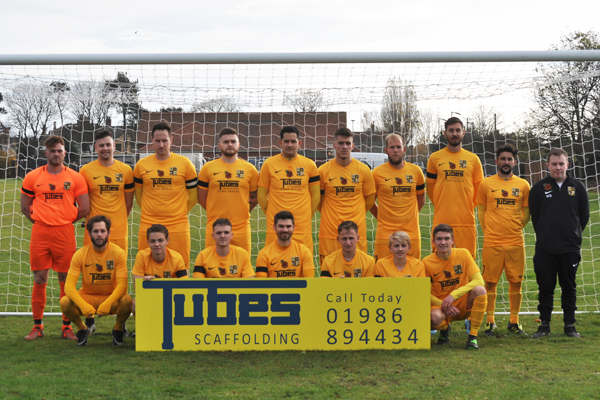 Tubes Scaffolding have sponsored the Adult kit for this season. 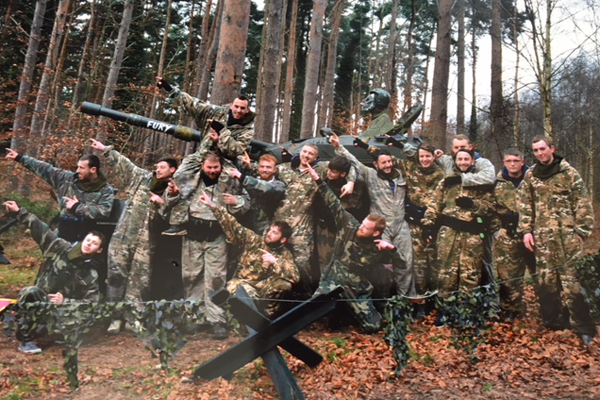 The boys instigated a day out together at Thetford Forest Combat Paintball which confirms the Tubes camaraderie. A great day was had by all. Teresa Farman, company secretary of Tubes Scaffolding is pictured handing over the keys of a Fiat Doblo to Ray Sillett of Gorleston. Tubes Scaffolding donated the vehicle to Ray who is a long standing friend of the company. 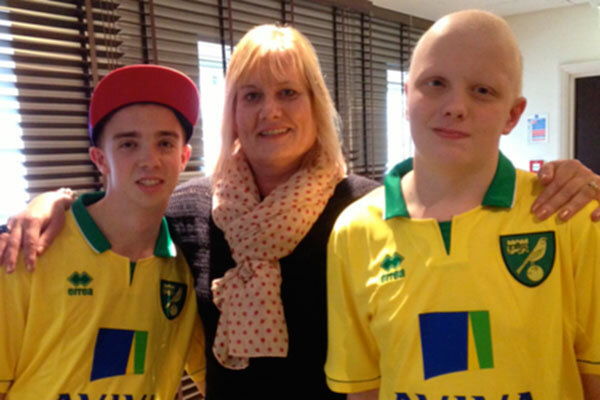 Two cheque presentations of £800 each were made this week by Teresa Farman, company secretary, Tubes Scaffolding to Oliver Larking, Norfolk Fundraiser of East Anglian Air Ambulance and Vanessa Bell, Suffolk Fundraiser of East Anglian Childrens Hospices. 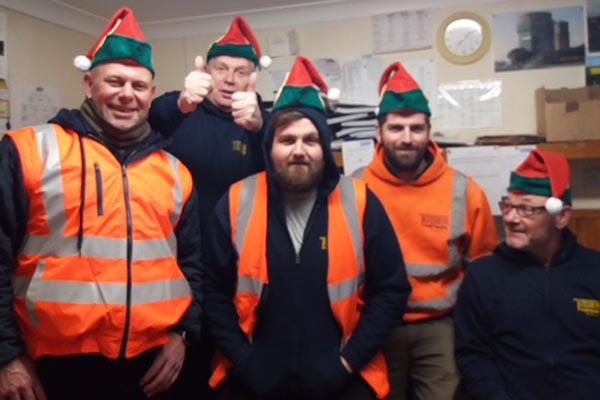 Tubes Scaffolding of Earsham and Cornerstone of Harleston recently held their fifth Charity Fun Day with all monies raised going to their chosen charities. 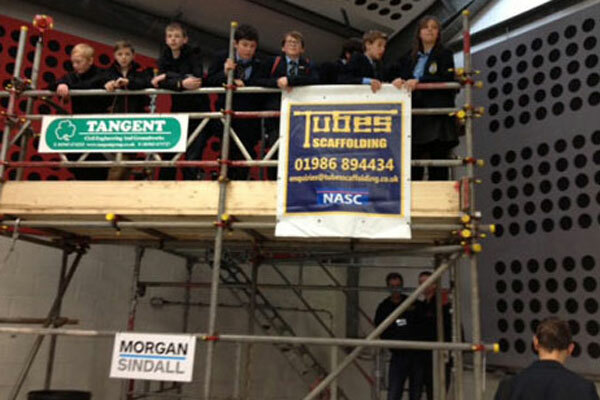 Tubes Scaffolding took part in the Choose Your Future Interactive Careers Convention on Thursday 28 November at the Norfolk Showground. 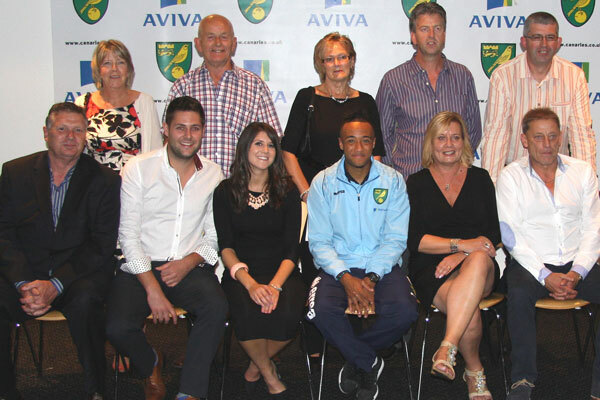 The event was sponsored by Norfolk County Council and organised by Build Norfolk. 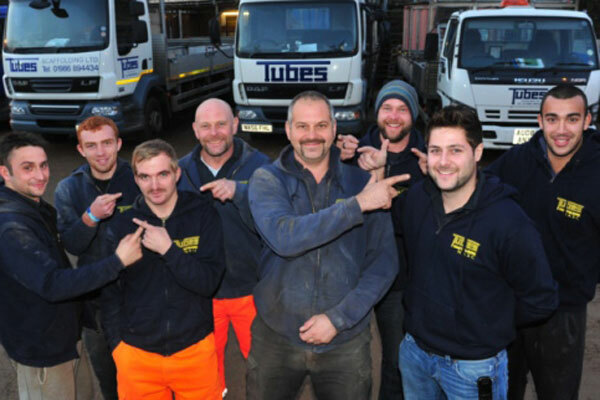 Twenty seven employees at Tubes Scaffolding have signed up to grow facial fuzz in support of men’s health charities for Movember. 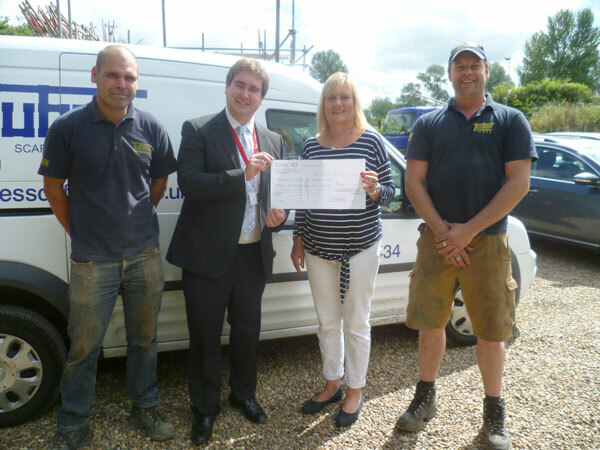 Our second cheque presentation took place on Thursday August 22 at our site in Earsham where Mandy Jordan, Fundraising Manager for East Suffolk & Waveney was presented with a cheque for £1,054.13p from Robert Long of Tubes Scaffolding. 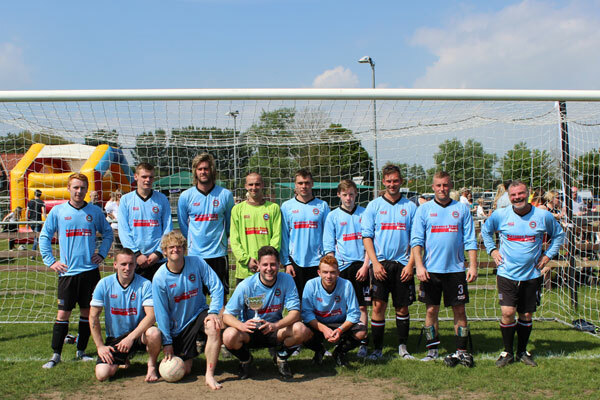 Tubes Scaffolding were delighted to be Match Day sponsors on Saturday August 17th 2013. Dave Farman, Managing Director of Tubes Scaffolding welcomed Liam Brown (right) who is 14 to the company corporate box to watch the last home game of the season against West Bromwich Albion. 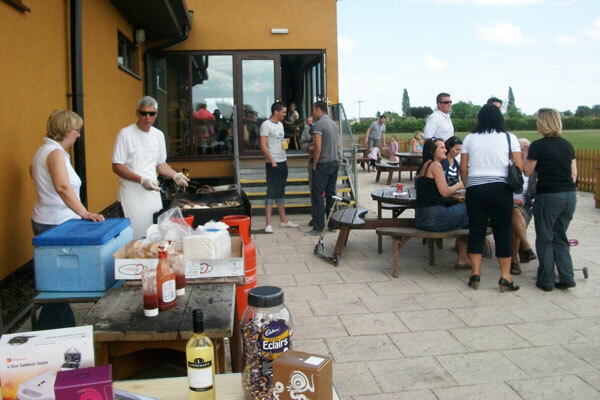 Saturday May 11th was once again our annual Charity Fun Day held at Bungay Football Club. This was our fourth Charity Day and the support as always was much appreciated especially as the weather forecast was rain and showers, but luckily they held off until after the match. 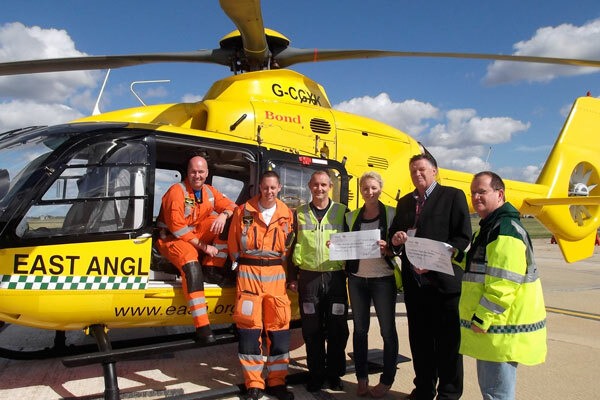 The result of our third Charity Fun Day which took place in May culminated in a cheque presentation by Keith Sillett of Tubes Scaffolding to Amy Greenwood of East Anglian Air Ambulance and Steve Hammond of Waveney Valley First Responders. 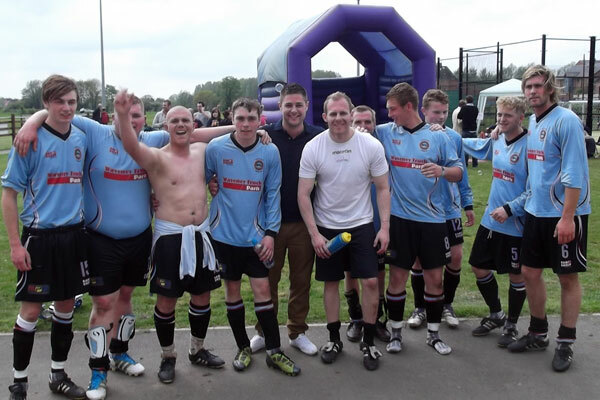 Tubes Scaffolding held yet again another very successful Charity Fun Day on Saturday May 19th at Bungay Football Club. 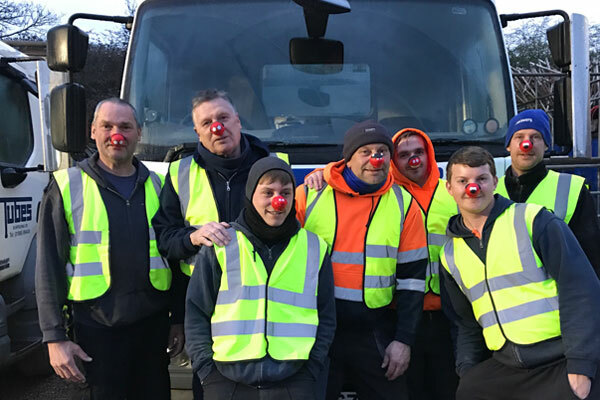 The support was excellent which all helped us raise £1,705.32 which we will be donating to our two nominated charities East Anglian Air Ambulance and Waveney Valley First Responders. 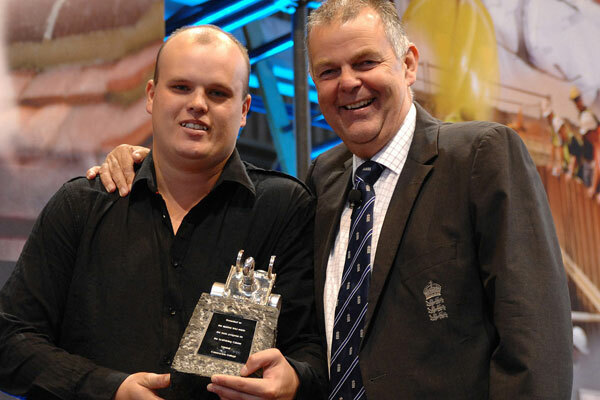 Shane Goodrum from Tubes Scaffolding was delighted to receive the ‘Winner of Year 2’ apprenticeship award at the National Construction College, Bircham Newton on July 27th 2011. 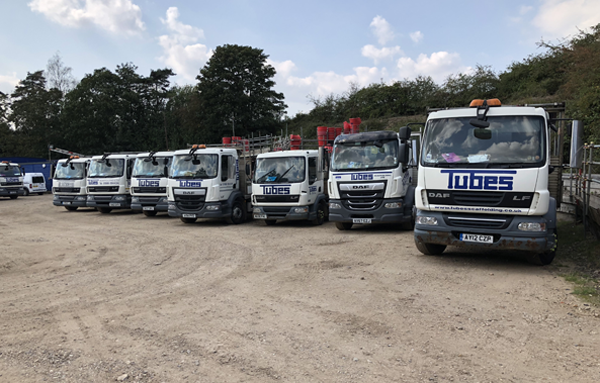 Another successful event for Tubes Scaffolding. 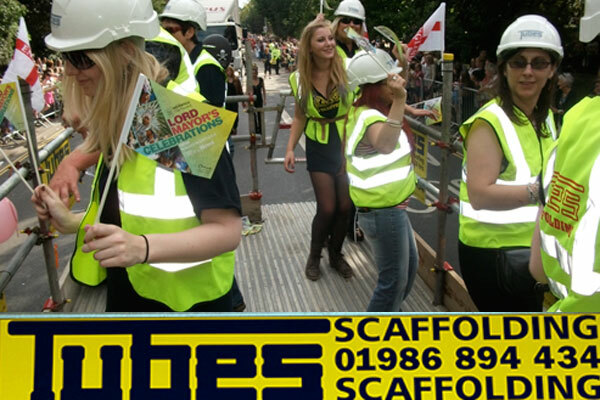 We turned the tables this year and had the scaffolders walking beside the float while the Tubes 'Girls' had fun with the crowd hitching a lift this time. 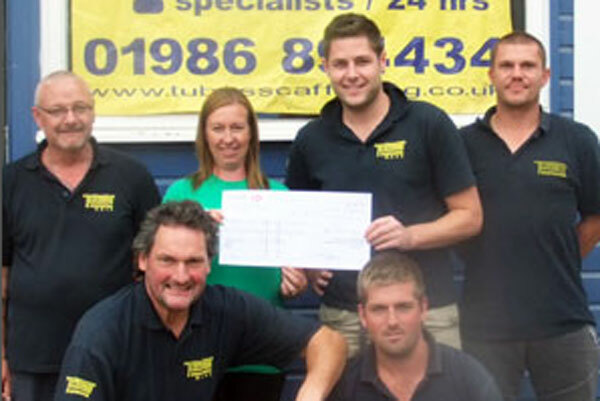 Tubes Scaffolding held their 2nd Charity Fun Day on May 8th at Bungay Football Club.